An Office 365 Group is a way to centralize membership for multiple Microsoft products in one place, and apply policies at the project or team level instead of each product. It’s quickly becoming the new Active Directory Security Group of the File Share days. You can expect to be working with groups more and more as it becomes the main membership provider for everything Microsoft in the cloud. That’s why we decided to create the following series of articles, to help you get familiar with Groups. What are Office 365 Groups and How Do They Work? You may already be familiar with the concept of a group. It’s that thing you put people inside of and then grant them permissions to access your folders and files. 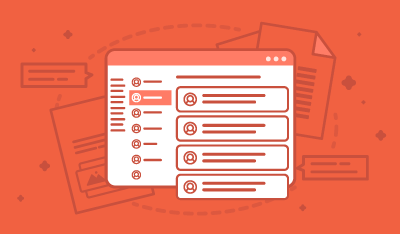 When you created a Security Group in the past, for your file shares or even in SharePoint, they would be stored in what we call Active Directory. 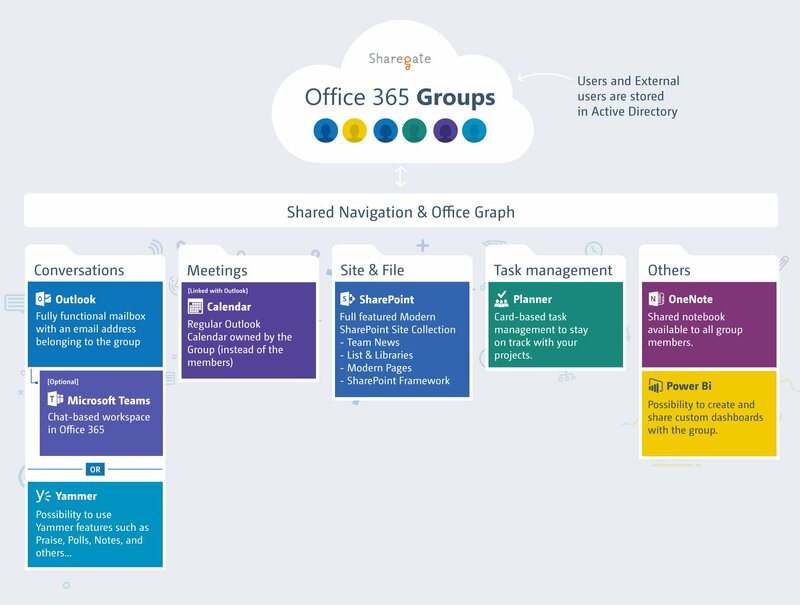 Today, you have Office 365 Groups. When a group is created, it’s stored in the same place you’re used to: your tenant’s Active Directory, also referred to as Azure Active Directory or AAD. There is almost no difference between a Security Group and an Office 365 Group. So, what’s the big deal then? Why is everyone talking about Office 365 Groups now? Well, it’s very simple. When an Office 365 Group is created, there are little robots, all behind the scenes, that automatically create a working space attached to that Group, in the various Microsoft Products. When that Group is created in the AAD, the robots, or provisioning service if you will, start knocking on each of the products’ doors. And the story continues with Planner, Power BI and Yammer. Office 365 Groups are not a product, nor does it compete with any of the others. It’s just like your Security Groups, but with a provisioning robot and a sense of centralized management. There are various ways to restrict and manage self-service provisioning for Office 365 Groups. You can apply a classification to Groups which applies to all connected products, and soon security policies will automatically be applied based on the classification. Why Should you Use Groups in your Organization? It’s no secret, times have changed in the tech world. We’re looking at cars that drive themselves, catching a ride using an app on your phone with automatic payment, creating and publishing videos that work on any device and any connection with little to no effort. Then, we get to the office. Often, you’re stuck with Office 2007 or 2010 if you’re lucky, or a complicated file share and no way to get the user experience we have come to expect from technology. 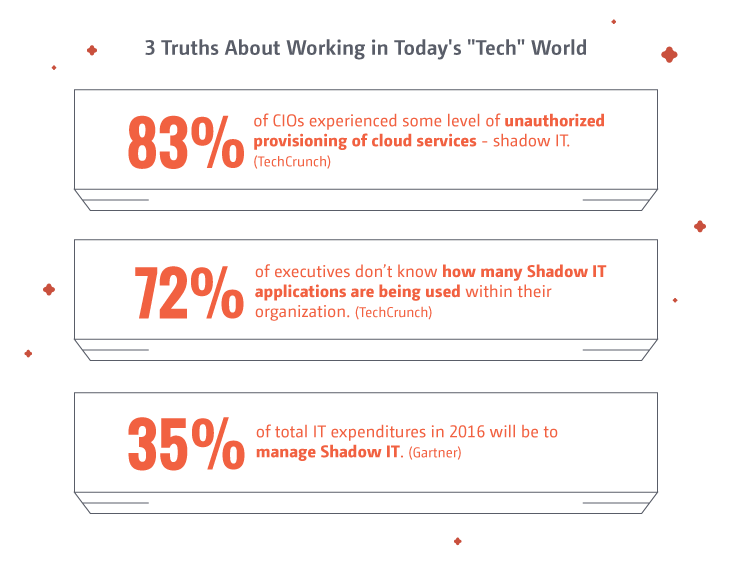 That’s why today, per a recent TechCrunch survey, 83% of CIOs experienced some level of unauthorized provisioning of cloud services—shadow IT. It’s easier to spin up something in the cloud, get things done for your team, than trying to deal with IT and often not getting what we want. By providing Groups to your organization, you’re providing choice to your teams, projects and business units. Let them create a “Group” and, within it, use whatever technology best fits their needs. It might start with Email, a Calendar and some Files when the project starts, then grow six months later to a full-featured SharePoint Site Collection and Planner to manage tasks.